Canuck - Corlane Sporting Goods Ltd.
To be a Canuck is to be a part of Canada, a Canadian. Canada is known for its harsh climate, and its tough inhabitants need reliable tools that meet and beat these conditions. 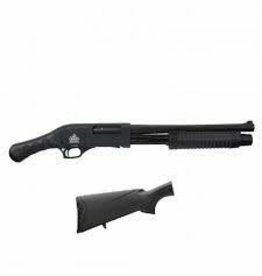 Canuck brand firearms have engineered a semi-automatic shotgun that exceeds your expectations and delivers superior quality at an economical price—whether you’re deep in the blind or having a leisurely day at the range.